Time travel + Jane Austin + mystery + history, seems an impossible combination but Pajer did it in The First Time. My #1 Pick for 2016! I couldn’t put down. I haven’t done that since the Harry Potter days. My urge to know what the main characters will do and if there will be a happily-ever-after overrode my biological needs. If I were a faster reader, I’d finish it in one shot. I also like that there wasn’t any graphic scenes some romance novels have, it’s healthy to leave room for the imagination. Also, the ways Ivy and Harrison act and think (i.e. not jumping into bed the first chance they got) reinforces their backgrounds, eras, and personalities well. Besides the romance, I learned some history of South Africa and what it would’ve been like in the early 1900s. The story resolution was surprising and satisfying, no blazing time-travel story black holes. If you like The First Time because of the science aspect, I also recommand her earlier works, Professor Bradshaw Mystery series. Bradshow is a professer of electrial engineering at the University of Washington in the early 1900s (when common folks didn’t know much about electricity). He investages many electricity related cases. Posted in I Read This	| Tagged Bernadette Pajer, book review, professor bradshow mystery, the first time	| Comment? Keeping up with a record of what I read each year, here I go with a new ongoing list for 2016. The count may be even less than last year but I really need to complete my cleaning process. The First Time: A Time Travel Romance (The Sunflower Series 1) by Bernadette Pajer #1 Pick! Posted in I Read This	| Tagged 2016, book list	| Comment? It looks like I am 3 books short from last years record of 24. As a reader and a writer, I can only aspire to be at Stephen King’s productivity level. Here is the list of books I’ve read all the way through and it includes some I read, more like studied, for work. Books I gave up reading are not listed. I’ve Got Your Number by Sophie Kinsella. 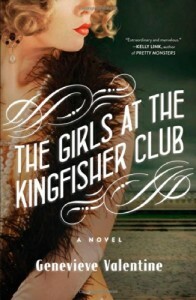 The Girls at the Kingfisher Club by Genevieve Valentine. Posted in I Read This	| Tagged 2015, book list	| Comment? Posted in I Read This	| Tagged book review, Genevieve Valentine, The Girls at the Kingfisher Club	| Comment? How will I change after meeting Don Tillman? Don always notice it when he did something better or new and I hope to do the same for myself. Instead of feeling anxious and guilty when I can’t work on my books, I will give myself credits for every book I read and every piece I wrote, project related or not. Being someone who could not pass English in junior high, anything I do in English is an achievement. I don’t yet know how to implement this but realized it as something crucial for interpersonal relationships. Who’d ever thought reading a rom-com would change my life more than any self-help book. (This is how I want my book to do for my readers, by the way) I learned more about myself, about the Asperger’s syndrome and not having to be drenched in sadness and conflicts but in the interaction and growth between the in the characters. All the while being carried along by the romance and the mystery. 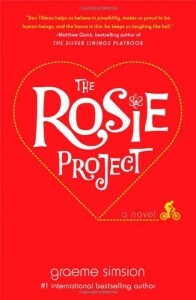 100 stars for The Rosie Project, given as a human being and as a writer. 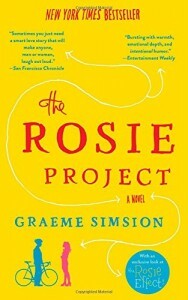 Posted in I Read This, Musing	| Tagged Asperger's, book review, Books I'll Always Remember, Don Tillman, fiction, Graeme Simsion, romance, The Rosie Project	| Comment? 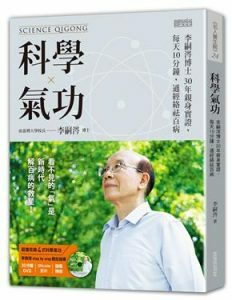 Later on in the book, Don began to adjust to the change by shifting to a “new mind configuration”, like from the scheduling mode to the adaptability mode, and that is how he is able to experience a fuller life. As a super nervous traveler, trips is full of the unknown, I am encouraged to shift into the “fearless adventurer mode” for my next trip. I want to use my energy to enjoy the time with my companions and not waste it on my irrational worries. And for things I did not plan for… How will I know I’m in the wrong mode? When I feel frustrated. I’ve known it’s not helpful to add negative emotion during problem solving. With this method, it is now a concrete step to help me execute the solution with efficiency and without the self-imposed turmoil. That means things may change but I now know how to shift into peace. Though I might be better at reading social cues and capable of using flowering language, I much rather not having to guess or having others guess the meaning of what’s said. It seems a waste of time and energy. In 6th grade, my classmates called me weird. I was aware that I am not like others but never thought it was a problem. Come to think of it, I did not have many friends then. In junior high, by accident, I became the class clown on several occasions. I am curious by nature and love asking people unusual questions. Sometimes my intense interest scare people away. I, too, tend to go for books or do research when I encounter a problem. Even when it’s related to spirituality and mental wellbeing which might be better solved by going through experiences. Over the years, I was lucky enough to add intuition and self awareness to my toolbox. When I have a goal, I plan the steps necessary, then set out to finish each no matter how long it takes. I didn’t not know before reading this book but I was living by projects. 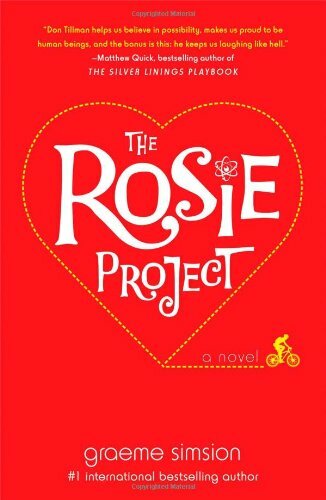 “A romantic comedy, a mystery, and an entertaining teaching aid all rolled into one” is an gross understatement of what The Rosie Project (by Graeme Simsion) turned out to be for me. Other than the occasional itches, I haven’t been reading many romance novels. When my sister recommended this book, I had confirmed its quality by the super long waiting list at the library and decided that it’s likely that I won’t be waiting my life. And that is exactly what Don Tillman, the hero of the book, would do in my situation. Could I have Asperger’s, too? I was astonished to find out how many traits I share with Don, such as the dislike of time waster, inefficiency, and lack of planning. And I always have a project or two on hand and the one-track mind to get them done. At some point in the book, I understood the reasons behind all the weird looks I have gotten so far in my life. Unlike Don, I was a drama queen as a child but some how it was stamped out of me along the way. 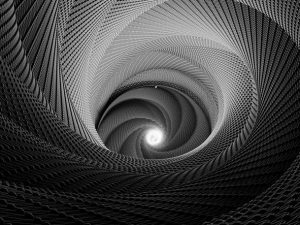 Perhaps it was the pressure to measure up to more successful peers or the stress to survive in a strange land with a new language, my mind had installed virtual mechanical gears into my head and keeps me on zeros and ones most of the time. In fact, I learned to code before I could communicate in English. It can not be a coincident that Don Tillman’s first career attempt was with computer, too. Somehow, when my super emotional, unorganized, learned by whatever made sense to me methods was no longer acceptable, logic and discipline became the tools I utilized to earned a college degree and my first career. The same tools have served me well in my life but the awareness of the need to change and grow has always remained. And that is what led me to the design field and now as a writer. Writing a book, as I had expected, turned out to be a long-term project. I didn’t and still can’t read fast enough to make me the best selling author of the next month and in my case, it might take years but I was ready for it. What I didn’t expect was life’s many interruptions that doesn’t allow me to be rigid with my schedule. The unpredictable work requests, the needs to care for others, all the real-world responsibilities had turned me into the time waster I detest. I was frustrated and stressed out because nothing (an exaggeration, obviously) seemed to go according to my plan to finish my novel. Don schedules everything down to the minute and enjoys the peaceful and predictable outcome like I’d like my life to be. Though he was flexible enough to change his plans for the unexpected, he also needed time to let the stress of making the adjusted out of his system. My symptoms for not having the “flushing out” period results in agitations and anger spikes, then all added up to a complete burn-out, which seemed more pronounced as my expiration date gets closer. The fact that I don’t know when that would come only adds to the urgency.